Durban - The record number of swimming enthusiasts ready to swim this weekend's aQuellé Midmar Mile for The Cows has been bolstered by the inclusion of a number of sport stars, including Midmar Mile icon Mike Arbuthnot. Arbuthnot is the only person to have swum every one of the 43 editions of the race, and this year agreed to swim in the distinctive black and white costumes of The Cows and to add his weight to their annual fundraiser for Childhood Haematology and Oncology Clinics (CHOC). Arbuthnot, or "Buthy" as he is best known, has swum a total of 85 miles over the years as he frequently swims multiple races each year, even when he was battling through cancer treatment. 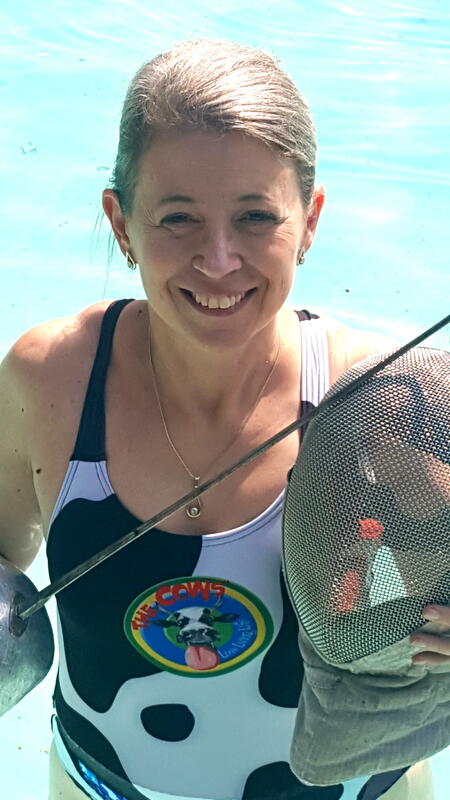 He has been joined in The Cows' massive 'herd' for the weekend swimming bonanza by another distinctive sport star in Olympic fencer Elvira Wood. The gutsy athlete suffers from severe neurological and arterial thoracic outlet syndrome in her left arm, but she fortunately has some use of that arm. Despite the set-back, which she picked up as a schoolgirl, she went on to enjoy a highly successful fencing career that took her all the way to the Olympics. "I always said I wanted to swim Midmar one day," said Wood, who fenced at the Beijing Games alongside her husband Mike Wood - only the second married South African couple to achieve this rare feat. She made her debut in the world's biggest open water swim in 2013. "Midmar and I are the same age - so when we both turned 40 in 2013 I swam my first one," said Wood. She repeated it in 2014, and then went on to do double miles in 2015 and 2016, when she swam the disabled race and then swam the family race with her son Jason. "By now the little blighter outswims me by around eight minutes - so there is no use in doing that any more!" she said. 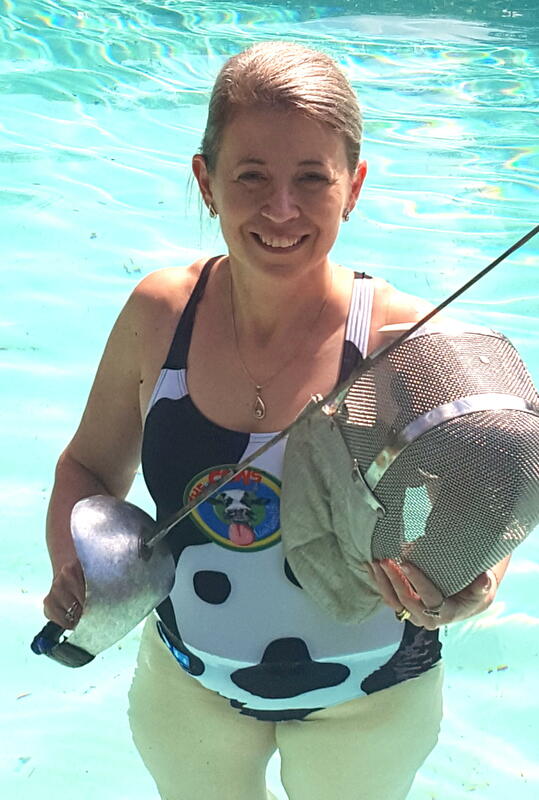 "In the world of one-armed swimmers I am not that slow and was placed seventh last year in the category for disabled women - and no - we don't swim age groups which is a challenge!" she quipped. She said that she leapt at the idea of joining the The Cows' 'herd' to be able to contribute to their fundraising initiative and awareness drive. "My husband and I will both be swimming this year, and while we are swimming it will all be for such a good cause," said Wood. 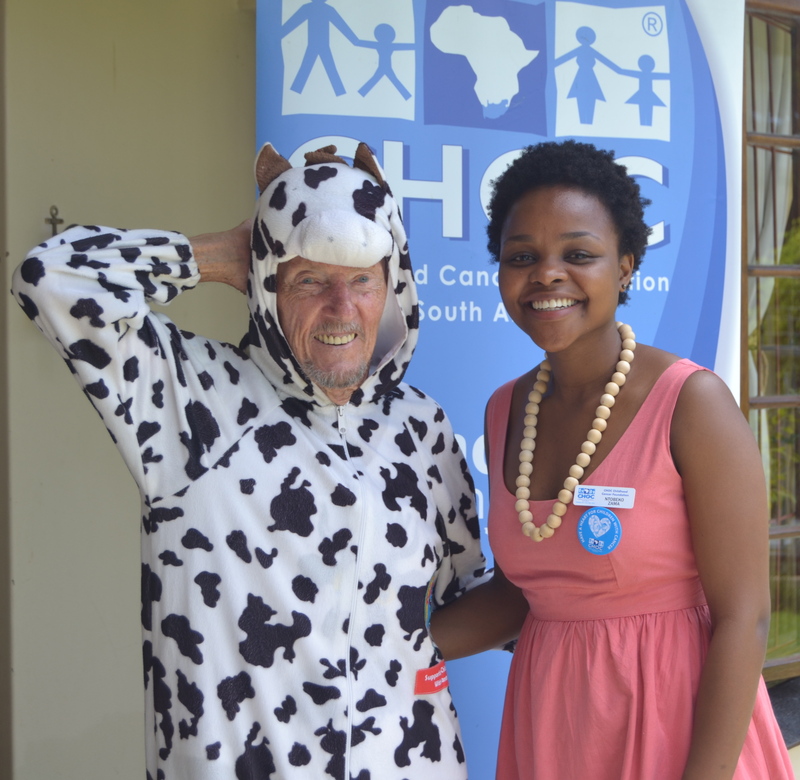 Celebrating their tenth year of existence The Cows have set a lofty fundraising target of R10 million, and judging by the record number of swimmers in their black and white livery this year, the groundswell of support could well carry them to that target. This year The Cows herd will number 202, almost double the number that swam for the CHOC 'herd' last year.